Join our team and see for yourself! From spiders and ants to the big stuff, we can handle it all! Protect your business from unwanted pests! Bringing you peace of mind and protection with our pest control solutions! Greenway's Four-Point treatment method is designed to identify and treat a residence, while using Integrated Pest Management techniques. This means that each Technician is certified to know how to identify then treat each premise effectively, while being extremely environment cautious. The goal for the Technician is to make sure the home is properly protected from future invasions. Your Technician may decide to treat other areas of the property, within the law, that seem to cause a threat to the structure of the house. The second most common access point for homes is through window areas, and eaves. Greenway's certified technician will inspect and then treat these areas. The Technician will additionally remove any paper wasps nest attached to home (within reach of the pole). Techniques for treating the inside of a residence, start by looking for potential areas for nesting - these areas are typically around the moisture points of the house. Your assigned trained Technician will mainly treat these areas of the home first using a crack and crevice treatment. Most insects and rodents enter from the exterior foundation of a house. So, your Technician will first inspect and treat potential points of entry. This treatment method is designed to provide a barrier for the house, helping to reduce and prevent future invasions. Welcome to Greenway Pest Solutions, providing affordable and long-lasting pest control solutions for New Mexico residents. From spiders and ants to the big stuff, we are a premier pest control solution provider in New Mexico. Our technicians are trained to handle even the toughest jobs. We are very conscious of our role in taking care of the environment and use the most eco-friendly products available to get the job done. Give us a call and try our services today. Your pest problems just went away! Greenway Pest Control creates a customized solution that is tailored to the specific needs of your business. 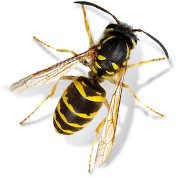 We know that unwanted pests can have a huge negative effect on your customers and your business. We take great pride in providing prevention options for facilities that keep the pests away before they can cause problems. We provide services for restaurants, medical facilities and doctor’s offices, retail, hotels and hospitality, small businesses, store facilities, government buildings, offices, and rental properties. We work with you to ensure all pests will be taken care of and provide monitoring stations to keep the pests away! 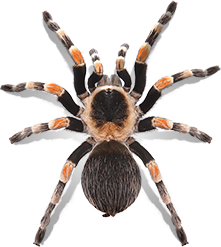 New Mexico homeowners see a number of pests, but spiders, ants, and wasps are always the pests most people deal with. At Greenway Pest Control, we provide safe and affordable residential pest control services. We bring our customers peace of mind thanks to our experienced, licensed, and well-trained technicians. We protect your home from year-round invaders and seasonal pests. If you have pests bothering your home, schedule an appointment today. Not sure what type of pest is bothering your home or office? Whether its bed bugs, ants, wasps, ticks, or something else, Greenway Pest Control is here to help. We have the knowledge and expertise you need to solve your toughest pest problem. Browse our pest library to identify common New Mexico pests and find out tips on how to prevent other pests from disturbing your peace of mind!